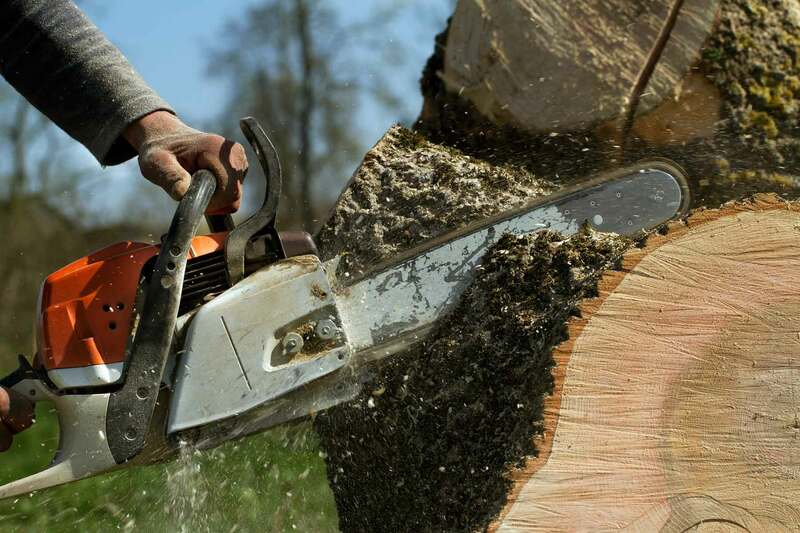 Over the past 40 years our business has grown – largely by word of mouth – from a single pick-up truck and trailer operation into one that includes four professional tree trucks, stump grinders, wood chippers, firewood processors, tractors and more. We specialize in tree trimming and insect & disease control. Other services include stump grinding, root pruning, root barrier installation and more. Having worked with trees and landscapes from San Diego to Ventura to Riverside to Los Angeles counties, there is not much our team of highly trained tree experts has not seen. There have even been occasions when our team spotted a potential hazard that had been overlooked by other companies, helping to prevent catastrophe for clients down the road. Jeff Buchanan is a life-long resident of Fullerton who began his career in the tree business as a 16-year-old "grunt" assisting with stump removal and cleaning up the mess that went along with it. Through this work he came to know more established tree men. Buchanan took an interest in the business and found himself soaking up as much tree knowledge as he could. Not long after that, Buchanan launched his own business with a borrowed a pick-up truck and trailer. Flash forward 40 years, and Jeff Buchanan Tree Service has blossomed into a respected and reputable business providing the Fullerton community and greater North Orange County area with quality service backed by a breadth of tree knowledge at a fair and competitive price. CALL 714.738.4652 OR EMAIL US TO DISCUSS YOUR NEXT TREE PROJECT. "Once again you and your staff have exceeded our expectations. ... We really admire your work and value all of the experience you bring to the job. We know that you always give us an honest appraisal of what you can accomplish and try your best to limit any damage. You have been trimming all of our trees and hedges for the last six years. We feel that your company does more than just service trees. You really partner with your customers to help them grow healthy, well maintained trees." "Your company did an excellent job, as expected. I did highly recommend you to Ohana Properties, of which I am an owner. David Gardner of "The Gardner" did several landscaping jobs for me in the pas and said you were the BEST for professional tree removal to which I concur!" "Your crew is great. Thank you." "Your employees did a great job!" "Thank you so much for such a good job. Everything was so neat, it was as if you hadn't been there. Your crew was polite and profesional and your response was much appreciated." "It was great doing business with you the old-fashioned way — handshake and trust. You can hardly tell a tree was removed, your guys did a great job of cleaning up." "I want to tell you what a wonderful job your crew did and I am so satisfied. Some of your fellows had been here before and remembered how I like it trimmed, so I did not have to give any instructions. Any they cleaned up really well. Thanks." "Terrific job on our trees! We're very happy with your service and thanks for the great clean up afterward." "Thank you for the great job you did! Also, thank you for going above and beyond by mowing the grass in the back yard and front yard. I appreciate the extra work!" "I am essentially the only one that's trimmed that elm for the last 37 years. I was reluctant to let go of the reins. I could not have done that any better and I sure as h*** couldn't have done it in the time your climber did. The tree looks beautiful. I am proud of and very pleased with the work. "Thank you for consistently providing high-quality work in trimming and caring for the trees and hedges in our yard, while giving attention to optional details and accommodating specific requests. When your crew left, the trees were show pieces of professional trimming and the grounds were cleaner and more orderly than when they arrived. The personal standard of excellence maintained by each employee verifies that consumer satisfaction and a job well done is a priority. In today's world "discovering" this kind of service is fortunate. Thank you for renewing a sense of pride in our landscaping." "At one time or another we all have dealt with salespeople and contractors who we wish were honest and had good old fashioned values. Jeff Buchanan and his tree service crew met these requirements with integrity to spare. He and his crew could not have done a better job regarding our tree removals, including a 60-foot ficus tree, stump grinding and haul away of waste. Prices were fair and the work was completed, uninterrupted, in a timely manner. A real hardworking and enjoyable group to do business with. An A+ from us." "I just wanted to say thank you for doing a great job once again at my house. Every day I look at that big gree and marvel at how good it looks after being trimmed."